When tougher cases presented themselves to our Pro Level Graduates, it became apparent that there was advanced research needed to crack these otherwise unsolvable cases. 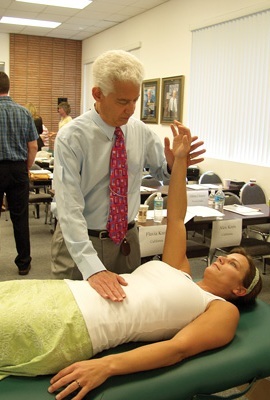 The Advanced Clinical Training was developed out of the discoveries from that very research. Over ten hours of drilling in each level of training will enable you to decode even your most difficult cases within minutes. The ACT consists of a single 3-day training workshop at our Clearwater training center. Each workshop is scheduled a month apart; in total, the training takes 4 months to complete. For more details on the Advanced Clinical Training program, call us at 866-418-4801, or fill out the form to the right.